Following are Indonesian prices for crude palm oil (CPO) quoted at an auction by PT KPB Nusantara (formerly known as the state marketing centre) on 25 July 2016. Following are Indonesian prices for crude palm oil (CPO) quoted at an auction by PT KPB Nusantara (formerly known as the state marketing centre) on 18 July 2016. 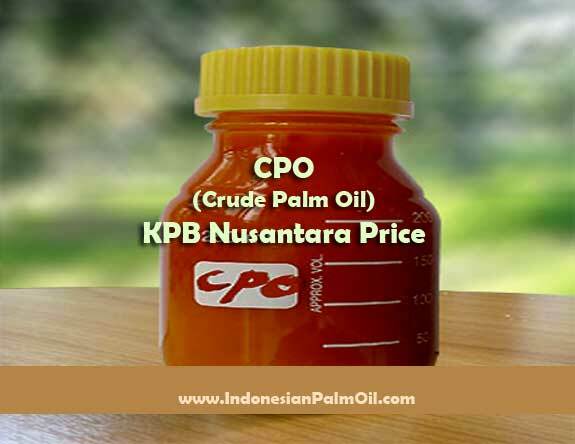 Following are Indonesian prices for crude palm oil (CPO) quoted at an auction by PT KPB Nusantara (formerly known as the state marketing centre) on 13 July 2016. Following are Indonesian prices for crude palm oil (CPO) quoted at an auction by PT KPB Nusantara (formerly known as the state marketing centre) on 3 July 2016.